Disclaimer: The tripod comments that follow aren’t directed at the casual photographers for whom nature photography is simply a great way to record memories of times outdoors–if using a tripod saps the pleasure from your photography, leave the tripod at home. But if your photographic pleasure derives from capturing the best possible images of nature, or (especially) if you aspire to make money with your photography, no single piece of equipment will improve your results more than a tripod. You’re wandering the snowy banks of the Merced River in Yosemite when El Capitan emerges from a swirl of clouds, painting at your feet an icy reflection of golden light framed by virgin snow. Out comes your camera and immediately you start working out the best way to capture this magic moment: The scene’s extreme depth calls for a small aperture, but your tripod is a) strapped to your camera bag (a misdemeanor); b) in the car (a felony); or c) at home in the closet behind the tux you haven’t worn since your first wedding (a capital offense). In a moment of weakness, to ensure a shutter speed fast enough for hand-holding, you compromise your aperture and ISO settings. Shutter-finger poised, you’re suddenly frozen by a command from behind: “Tripod Police! Step away from the camera!” Uh-oh. Fortunately, the mandate of the Tripod Police is not to punish, it’s to rehabilitate. In that spirit, let me make my case. If you think the main reason to use a tripod is to avoid camera-shake, you’re mistaken. With enough light and a steady hand, acceptable sharpness is usually possible without a tripod. In fact, in this day of phenomenal high ISO performance and stabilized bodies and lenses, hand-held sharpness is possible in the vast majority of images. Nevertheless, bolstered by new technology and validated by computer monitors and small prints (and misguided advice), many photographers still flip on stabilization, bump their ISO, and start clicking. But the two or three stops gained through image stabilization are rarely enough to ensure a tack-sharp image in the limited light conditions that make the most compelling images. And I don’t care if my images are nearly as clean at ISO 400 as they are at ISO 100—unless I’m dealing with motion in my scene (such as moving water or blowing leaves), the potential that any image may need to be printed large means I always go with my camera’s best ISO. 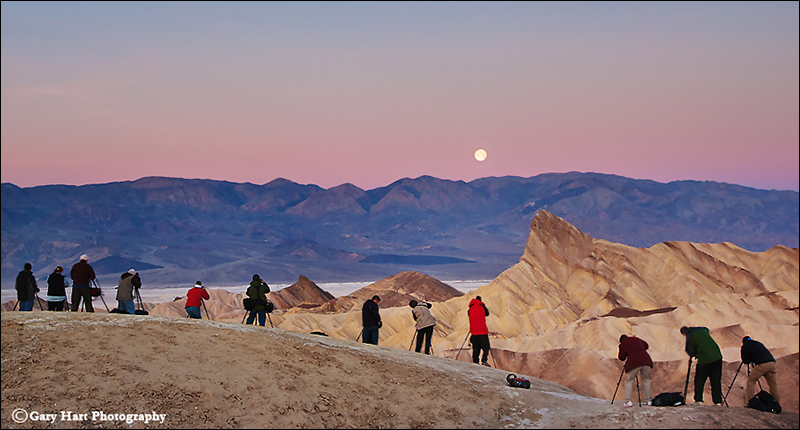 Let’s imagine you just got a request for a 24×36 print of the pride of your portfolio—a (hand-held) Death Valley moonset, captured before sunrise at ISO 800 and f/4 (it looks great in your Flickr gallery)—for the reception area of your father-in-law’s law firm. (A real coup after that whole llama-farm investment fiasco.) So what do you tell him when you go to hang it and he asks why it’s so “mushy,” and what’s with all that “sludge in the shadows”? Oops—looks like another Thanksgiving at the kids’ table. Put simply, using a tripod allows me to use the best settings for the scene. There’s an ideal f-stop for every landscape image. Really. In fact, the ideal f-stop epiphany is the tripod tipping point for many photographers. Let me explain. Anyone with a camera can snap the lateral (left/right, up/down) dimensions of a scene. But artistic photographers understand that the key to rendering our three-dimensional world in a two-dimensional medium is creating the illusion of the missing dimension, depth, by composing elements throughout the frame, from near to far. Since depth of field is controlled by the f-stop, of all the exposure variables at a landscape photographer’s disposal, f-stop is the most non-negotiable. And regardless of the f-stop a scene calls for, you should be able to select it without making ISO, shutter speed, or exposure compromises that affect image quality. In a static scene (as most landscape image are), the tripod removes motion from the equation, allowing the photographer to select the ideal f-stop and ISO with no fear of camera shake. But what about a scene that’s all on the same plane, where depth isn’t a factor? The f-stop still matters because every lens has a single f-stop that renders the sharpest result. For some lenses the sharpness difference between f-stops is small, for others it’s significant. But it’s always there. So even when DOF isn’t a factor, I choose my lens’s sharpest f-stop, usually f/8-f/11. Some photographers put each lens through extensive testing to determine its sweet spot; I usually go with f/8 unless I see clear evidence that a lens is sharper at a different f-stop. I also try to avoid f-stops smaller than f/11 unless the scene requires extra depth—not only do lenses tend to be less sharp at their extreme f-stops, at f-stops smaller than f/11, diffraction starts to rear its ugly head. Because the f-stop controls depth of field, landscape photographers should use f-stop only to manage depth and only as a last resort to control exposure (for example, to avoid bumping ISO to unmanageable levels when photographing at night). In other words, your f-stop is a creative decision based on the depth-of-field you want and (when DOF isn’t a factor) the f-stop at which the lens is sharpest. Since a tripod removes camera shake from the equation, it frees you to choose the best f-stop for your composition, without compromise. Still not convinced? Consider also the control a tripod gives to your composition process. A tripod slows you down (a good thing), helping you consider each element in your frame and its relationship to other elements. Managing the positional relationship of elements in your frame is particularly important when you’ve included front-to-back objects to create the all-important illusion of depth. But I’m not done. After capture, I step back and study the image on the LCD, imaging it framed large and hanging on a wall. I scrutinize my composition for possible improvements, and check the histogram for exposure problems. With a tripod I can do all this at my pace, taking as much time as necessary, knowing that when I’m ready to make adjustments, the image I just reviewed will be waiting right there in my viewfinder atop my tripod, exactly as I captured it, ready for me to enhance. Other benefits of a tripod I’ve almost come to take for granted. For example, I use graduated neutral density filters a lot, but find the holders that screw onto the end of my lens awkward. With a tripod, it’s easy to position my GND and hold it in place during exposure. During long exposures I’ll sometimes move the GND up and down slightly to disguise the transition–also easy on a tripod. A tripod also makes it easy to use a polarizer to reduce color-robbing glare, something I do on virtually every daylight shot because the two stops of light I lose to a polarizer are almost always a non-factor when I’m on a tripod. And advanced digital techniques such as image stitching (for panoramas or high resolution capture), HDR (high dynamic range blending of multiple images for exposure management), or focus blending to increase depth of field are all easier on a tripod. As is old-fashioned mirror lock-up to reduce mirror-slap induced vibration. And live-view focusing, the best way to ensure precise focus, is a snap on a tripod (and pretty much impossible hand-held). stopped me. 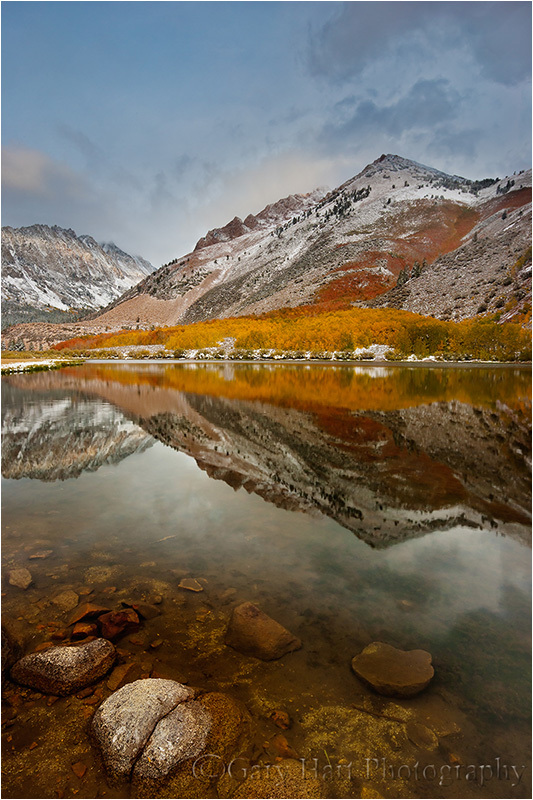 I found that by dropping to my knees, going wide, and orienting the frame vertically, I could include everything from the foreground reflection to the partly cloudy sky and aspen-covered mountainside. My general composition conceived, I lowered my tripod and reattached the camera. Because the contrast between the bright sky and shaded foreground exceed my sensor’s dynamic range, I used a 3-stop soft graduated neutral density filter to reduce the difference to a manageable amount. I find GND-holders awkward and don’t own one, opting instead to use my fingers to position the filter–not practical without a tripod, but simple with one. 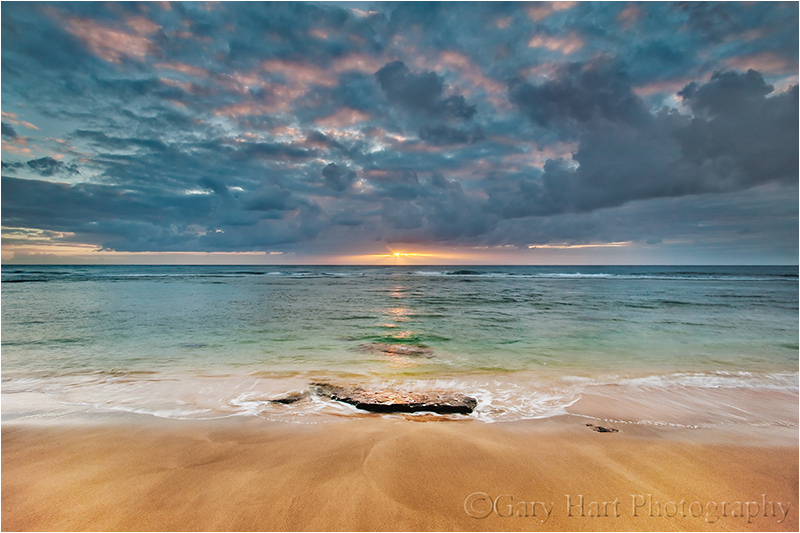 With my equipment ready, I dialed to f/16, metered, set my shutter speed, composed, positioned the GND, and clicked. After evaluating the image on my LCD, I made a couple of refinements. I repeated this cycle a couple more times until I had a composition that satisfied me. Finally, with everything exactly as I wanted it, I captured several more identical compositions, each with a different polarizer orientation. Just as the llama farm is now dust in the Peruvian desert (just checking to see how carefully you’ve been reading), all those beautiful hand-held scenes from your unstable past are history. Fortunately, the Tripod Police offer a generous amnesty program that rewards rehabilitated offenders with great new images each time they use a tripod. Just give it a try, and allow enough time for the tripod to become habit. Once you see the improvement, I don’t think you’ll relapse. Bristlecone Star Trails, White Mountains, California: Here I silhouetted this ancient bristlecone pine against a background of star trails. And once again, what tripod(s) would you recommend? What do you think about the ball heads? A tripod is a very personal choice that depends on what and how you shoot, the weight of your gear, the amount of hiking you, your height, the amount of travel you do, and (of course) your budget. I use Gitzo tripods and Really Right Stuff ball head because they give the best combination of light weight and sturdiness. But they’re also quite expensive. For someone on a budget, I think you’ll get more bang for your buck with Manfrotto tripods and heads–they’re quite a bit heavier, but they’re sturdy and easy to use. Connie I am an armature photographer and have purchased 2 Manfrotto tripods. I love them. Word of caution. How far to do travel with your tripod? My first Manfrotto weighed a good 4 to 5 lbs with the grip ball head. This past winter hiking in a foot of snow for several miles just about killed me. If you shoot just several hundred ft from your car it’s great. If you do any amount of hiking I would suggest a carbon fiber tripod from Manfrotto. They are a little more pricey but worth every extra dollar. Gary I am new to your site. Love your tips and suggestions. They are right on the money. Your photographs are pretty awesome too! Just finished RE-reading your comments on tripods et al. Having taken a workshop with you I did learn to practice the approaches you discussed here. I was glad to read this summary. Thanks for your teachings. The make sense, and they work. You are the reason I’m now searching for a good quality “very” light weight tripod for my motorcycle trip to Panama. Gary, excellent article as always. I also want to point out that putting together a perfect tripod combo can be fun in and of itself (see http://www.scottbideauphotography.com/ultimate-tripod/ for my “custom” setup). One thing I didn’t consider (but wish I had) with my first Gitzo was necessary height. I was so focused on getting something light and compact that I ended up with a tripod that always required me to scrunch down to see in the viewfinder (even though it was the tallest Mountaineer series available). I’m not saying that all my pictures are best composed at eye level, but reality is that quite often that height is both convenient for the photographer and for the composition. I upgraded to the XLS (extra tall) model that extends to around 78″….perfect for working on the side of a hill when one or two legs needs to extend far down. I then plan to buy a cheaper set like a Feisol for those times when weight and folded length are non-negotiable. Thanks, Scott. I completely agree that with a tripod in particular, it’s important to start with the one you really want because you’ll eventually get it anyway. Height is probably the most overlooked characteristic–people just don’t appreciate how uncomfortable it is to stoop continuously, and raising the center post more than a couple of inches is a big no-no (very destabilizing). I learned that in your class and never leave home without my tripod and cable release. This is great advice. If I really want control of my capture, I will use Live View. It enables me to control an entire variety of parameters, not the least of which is selective sharpening. I can’t tell you how many times I have been taking a macro shot (with the camera on a tripod); I think that image is tack sharp; and then in Live View, I position the red rectangle and zoom in; whoa! ; time to micro-focus. When at the Coast, I frequently use a 10 stop ND filter; not only does this necessitate a tripod; using Live View enables me to see what I am doing with exposure and focus. One more thing about Live View; mirror lock-up is automatic. I realize that I am talking more about Live View than the value of using a tripod. However, it was using Live View that forced me personally to use a tripod. I am using my tripod more since I got a higher quality one and an L bracket for my camera to make vertical and horizontal shots easy. I’m still quite impatient and struggle to take the time to set up the scene for a tripod. Taking a few photography travel workshops has helped me be more consistent. There’s no single right or wrong way to use a GND. Since I don’t blend images, I never take multiple exposures and in general find filter holders far more trouble than they’re worth. Also, like many photographers, I try to move my GNDs during exposure to disguise the transition, something a filter holder makes difficult to impossible. But by all means, you should do what works best for you. Well written article with good humorous touches. Good going Gary! Do you think you could use your TVC-24L system as your primary system, even when you fly? Also, I’d like to hear your thoughts about using a leveling base. It seems that we’re never on totally level ground, especially when doing panoramas. The TVC-24L is my primary tripod, but I usually fly with my TQC-14. The TQC-14 is a little short and I’m lobbying RRS for a taller version that won’t require a centerpost. I’ll always fly with the 24L when weight isn’t a concern. I don’t have any experience with a leveling base, and have never wanted one, but I don’t shoot panoramas.